I'm trying to make a semi-automatic farm but the piston that opens up/cuts off the water flow isn't working. 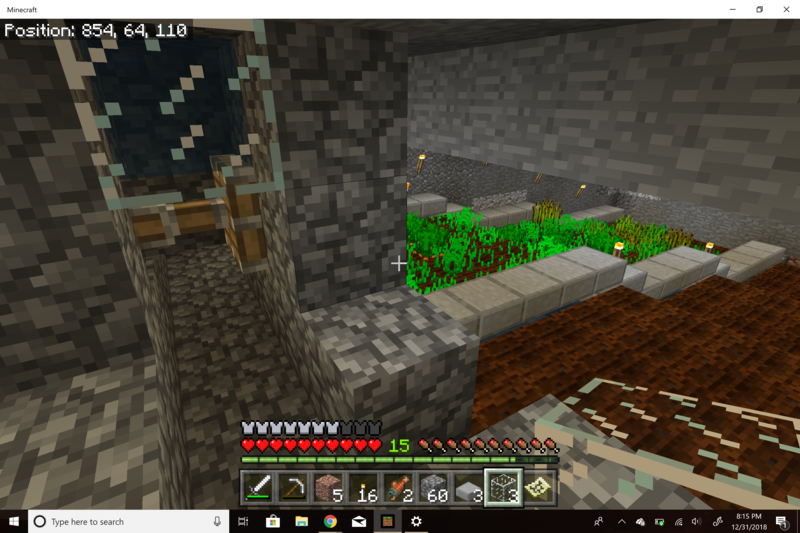 I have the water source directly above the piston, so that when the piston is extended the water doesn't flow down, and when I close the piston the water flows down, through a channel, and over the crops. Opening the piston again should stop the water flow. However, it isn't working. When extended again, the piston does not stop the water flow. The only way I've found to do so is to click with an empty bucket in the same block the piston is in. 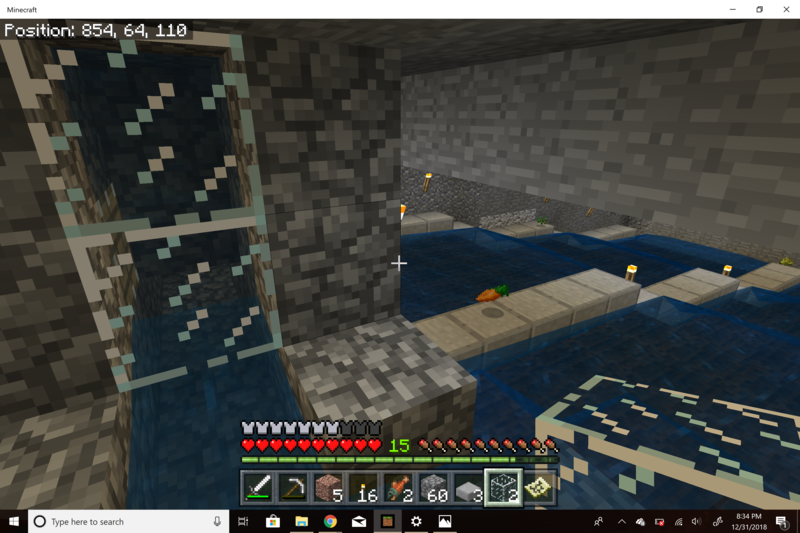 It's like another source block was created somehow, as the water above the piston stays. Am I doing something wrong? I even watched a video on the process to be sure I had all the parts in the right place. Is it the game/my computer messing it up, or do pistons not stop water like that anymore? Not sure, but in the meantime use a sticky piston or dispenser. 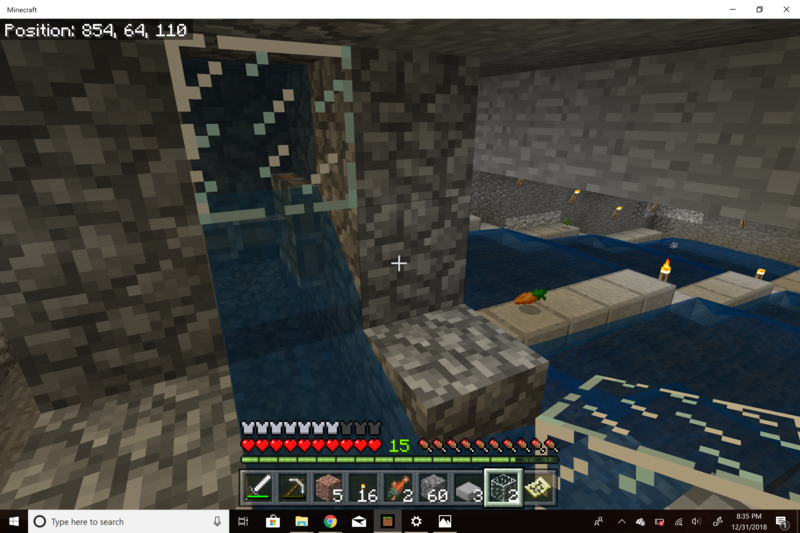 The slightly new update, the Aquatic update, added water logging. This means that water can travel through blocks that water would go through in real life or blocks that aren't a full block: slabs, fences, piston arms, stairs, doors (from he side), brewing stands, gates, trapdoors, glass panes, corals, chests/ender chests, iron bars, wall blocks, Sea pickle, and some others. The new bell isn't able to be waterlogged though because they must've forgot to. Instead of just the piston arm, use the piston to push a regular block to block the water. what about changing the rotation of your piston, i.e so it works up and down? maybe also try adding a block to the piston?